Recently a lot of airplane was reported of a plane crash, and yet another airplane has crashed this time it was from Taiwan. On February 4, 2015, Thursday An airplane known as TransAsia plane, was crash landed in the river in Taipe. The crash was recorded by a passing vehicle as where the plane wings hit the potion of the bridge till it goes down and plunge to the river. The plane crashes shortly it take off. Last year Transasia Airways involved in an airplane accident that causes 48 people died when a TransAsia Airways plane crashed amid stormy weather in Taiwan's Penghu archipelago ,This is the second incident for TransAsia in less than a year. 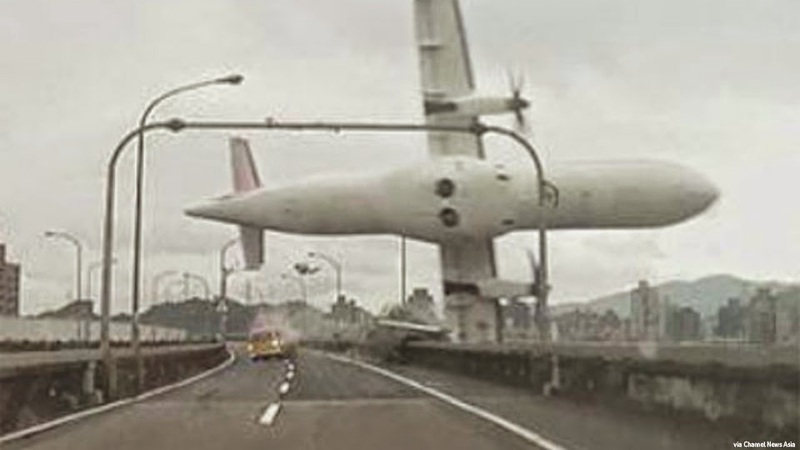 No Comment to " Viral Video: A Passing Vehicle Caught A Footage Of TransAsia Airways Before It Crash Landed Down The River "